Receiving an activation can open one up not only to the wonders of healing but also to deeper aspects of one's self. As we expericence activations we become increasingly sensitive to energies that are indeed Divine. This Innate Healing Gifts Activation is a Divinely Guided process where healing energy is directed straight to the areas it is needed, releasing that which is no longer for your highest good. This activation takes you to the next step in your evolution by restoring and awakening natural gifts and talents that have been dormant within you. Each person receives exactly what is necessary for his/her evolutionary process. This activation goes far beyond the timeframe of the sessions. Oftentimes dramatic results unfold as our beings align with these transformational energies. The Innate Healing Gifts Activation catalyzes you toward your higher purpose. These activations can be done in person or distantly. The cost is $350.00 and includes a coaching session follow-up. One activation is equivalent to several Reiki attunements. WHAT IS AN INNATE HEALING GIFTS ACTIVATION SESSION LIKE? A deep 'settling' of the body, a cellular relaxation often occurs. You may go into a 'Divine Sleep' where you are assisted in repair of your systems. You may feel energy moving in your body from inside and outside. You may experience the sensation of many hands holding you with Love. You may experience visions or feelings during the activation. Dormant DNA will begin to be activated. 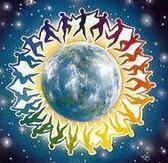 Your energy centers (charkas) will be brought back into balance. All necessary symbols and tools will be downloaded to you. You will end the session feeling refreshed and at peace.